Muntahaa could be Melbourne Cup-bound after his decisive win in the Ebor Handicap. 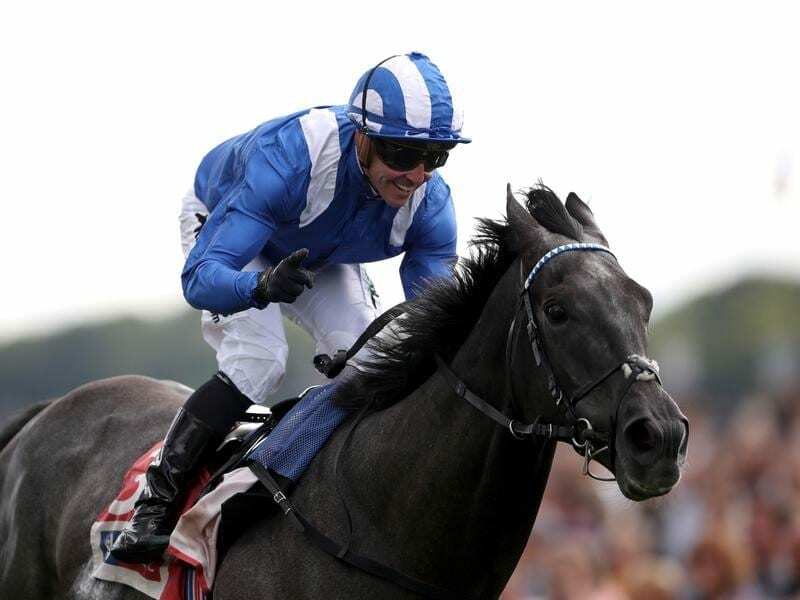 Muntahaa has put himself in line for a trip to Australia for the Melbourne Cup with victory in Europe’s richest handicap to round off a fine week at the York meeting for trainer John Gosden. Gosden saddled two runners in the PS500,000 ($A875,000) feature and both were to the fore as the field approached the final two furlongs (400m). Topweight Weekender, ridden by Frankie Dettori, committed for home early, briefly racing into a clear lead. But Muntahaa was travelling well for Jim Crowley and he came home best to beat him decisively by 3-1/4 lengths. Irish challengers filled out the places, with Jarlath Fahey’s Sea The Lion third ahead of the Ger Lyons-trained Mustajeer fourth. Angus Gold, racing manager to Muntahaa’s owner Sheikh Hamdan Al Maktoum, said the horse would be entered for the Cup. “His ability was never in doubt. It was just a case of getting him in good form mentally,” Gold said. The 2016 Ebor winner Heartbreak City finished second to Almandin in the Melbourne Cup and last year’s winner Nakeeta finished fifth behind Rekindling. Earlier in the week, Gosden won the Juddmonte International with Roaring Lion and the Lonsdale Cup with Stradivarius.